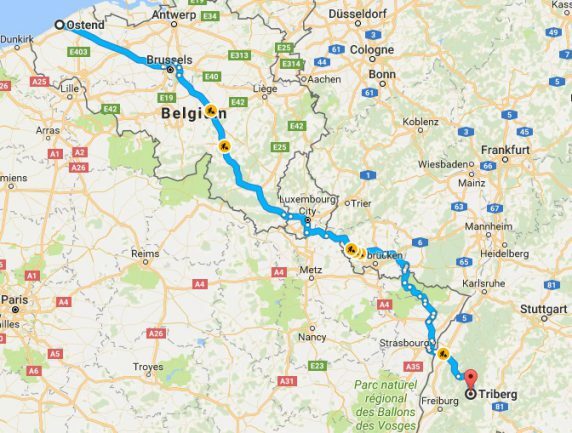 The Banger Rally route “Coast to Coast” Day One – Ostend Belgium to Triberg Germany. We’ve got some great views on route as we leave the Belgium coast behind. Please note no tolls today.